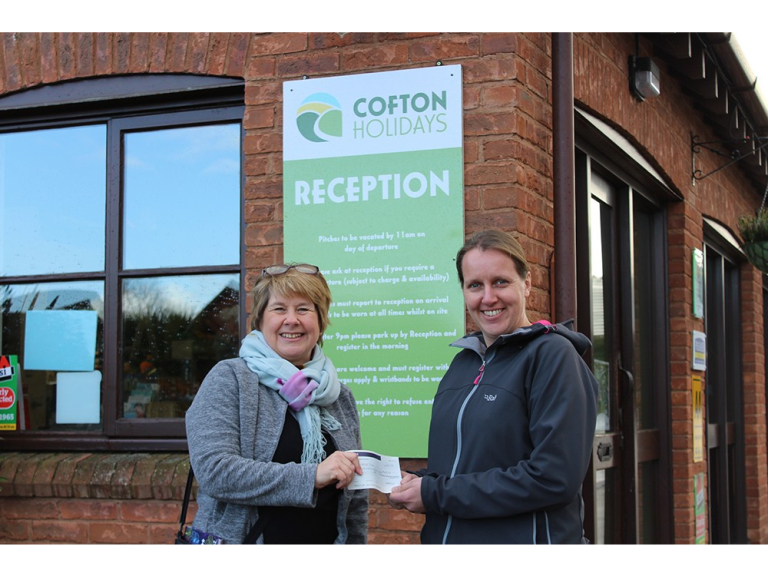 Multi award-winning Cofton Holidays, based near Dawlish Warren in South Devon, is celebrating raising in excess of £2,000 for local charities over the past twelve months. Cofton Holidays has raised money for eleven different charities including the Exeter Leukaemia Fund, Devon Air Ambulance, Macmillan Cancer Support, Children’s Hospice South West, the Dogs Trust and Dementia UK. Over the past year, Cofton Holidays raised £290 for ‘ELF’ at Cofton’s Christmas extravaganza; £432 for Macmillan Cancer, as part of the World’s Biggest Coffee Morning; £416 for the Devon Air Ambulance, from a charity race night, and £70 for the Dogs Trust at Cofton’s annual American Classic Car Show. Cofton Holidays also raised £488 for Children’s Hospice South West and over £430 for the Devon Wildlife Trust as part of its ongoing commitment to conservation and the local environment. Mellony added: “It’s great to help raise money for such a diverse range of charities. We always look for ways to help good causes at our major events throughout the year, and we hope to do the same in 2018. The attached picture shows (Left to right) Jan Coman, Devon Wildlife Trust Fundraising Team, and Mellony Kirby, Director Cofton Holidays.